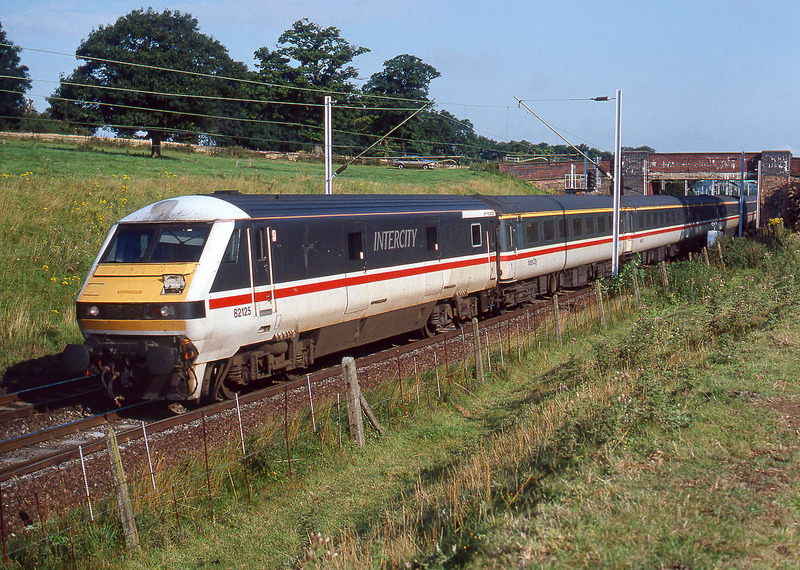 82125 speeds past Brockhall (between Rugby and Milton Keynes) with the 07:10 Liverpool Lime Street to Euston InterCity service on 24 August 1991. Having a streamlined front end only works if you shut all the flaps, not as here with one of them open and acting as an air brake! The Canon F1 I used to take this picture was one of the few cameras available at the time that had the 1/2000 sec shutter speed that was necessary to freeze all motion with a train this close to the camera and traveling at such high speed.